The Sony Xperia PLAY from Verizon went on pre-sale last night at midnight, but wasn’t supposed to ship to customers until around 5/25 with the actual launch date as 5/26. 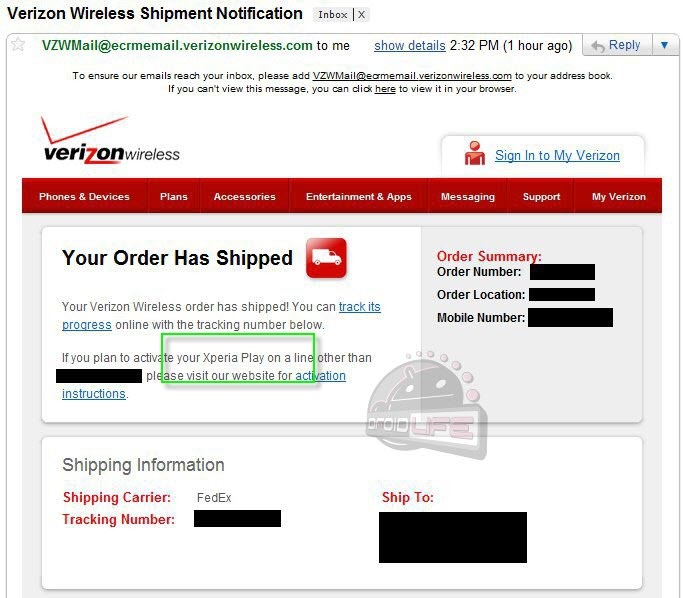 Well, it looks like those of you that jumped on it early might be in for a treat as one of our readers just sent over this screenshot of a confirmation from Big Red that his phone has been shipped and should arrive by May 23 (Monday). That’s right, his stock Android 2.3 gaming machine will be at his doorstep days before it ever hits a store shelve. So tempting.